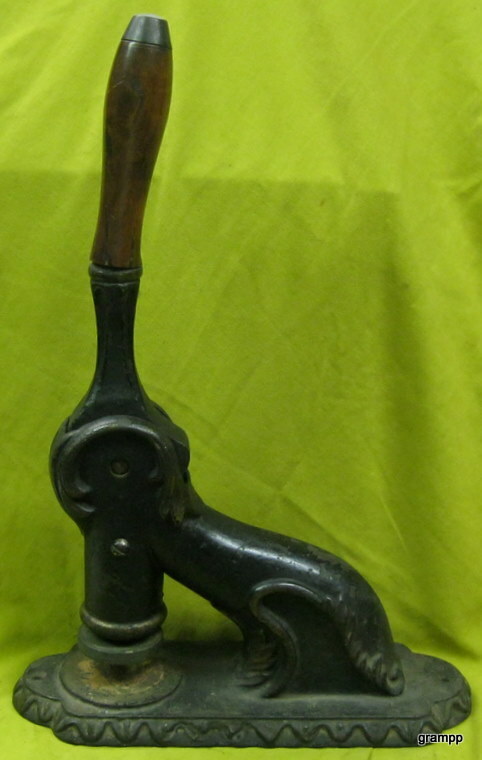 This wooden handled press is similar to European presses of the 1860's. This press contains a seal from a Connecticut notary.Many presses from this era are missing the counters. The counters were not poured in place, but attached with mastic that failed over the years.